I find that I cook the chicken and spices in the slow cooker using the beer and the Goya saison, I leave out the rice till about 30 minutes before it’s done. 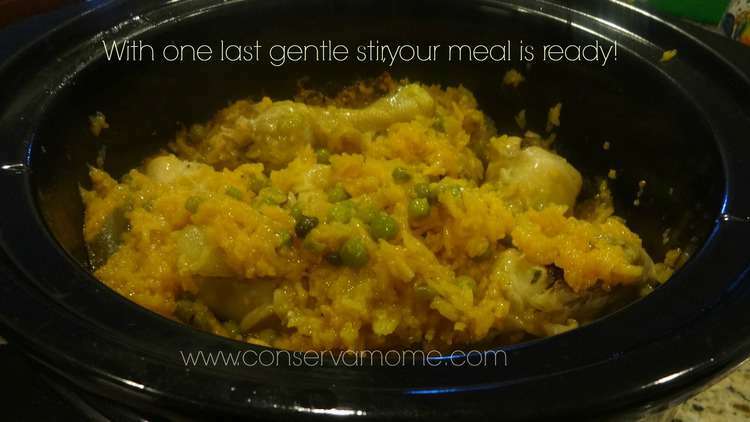 The rice is cooked and the peas are added, then added to the cooking chicken. I also found saffron rice in the super market, use that and then wow! By the way this way the rice doesn’t come out mushy and is usually perfect. 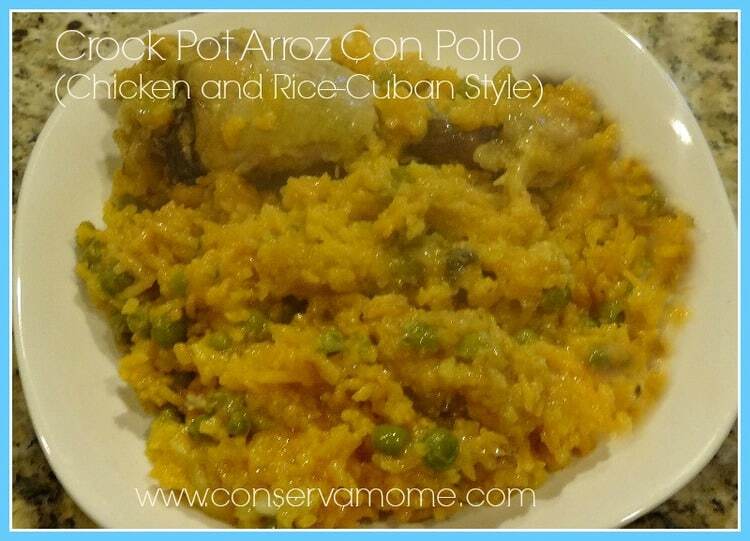 My big Cuban family enjoyed this recipe very much… Just like our moms make it . Delicious!!! Thank you!!! This looks so delicious. I can’t wait to try it. Just pinned for reference. Thank you! Looks yummy! Will have to try this out. This meal looks delicious and I’m quite sure our family will like it. I especially like that it can be made in the crock pot. 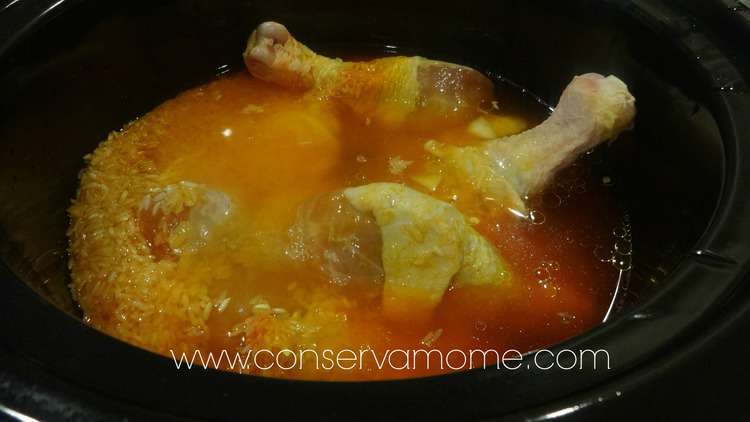 Looks great, I would make it with chicken thighs as my family usually likes the thighs over the drumsticks. This looks yummy and I love that it seems pretty simple! Thanks for sharing. This looks yummy! What do you think would be a good substitute for the Pabst? Does it matter what kind of beer you use? This sounds yummy! I have drum sticks in the freezer and I think all the other ingredients too, so we might have to make it this week. Thanks for sharing! You can use Chicken broth, ginger ale, or white grape juice… I’d go for the broth. This looks super yummy and easy to make! LOVE crock pot recipes, thanks! This sounds and looks amazing i really appreciate the recipe i love chicken and rice so i will be making this really soon.. Have a great weekend! It cooks so long that I’m SURE the alcohol’s cooked off & we just love the flavor. I’m going to try this on Monday, our “extra busy” day. Can’t wait!! Oh wow this looks so delicious, add this to this weeks dinner list. Cant wait to try it !!!! The dish looks really good. I would have to make it without the green bell peppers since my stomach can’t handle them. 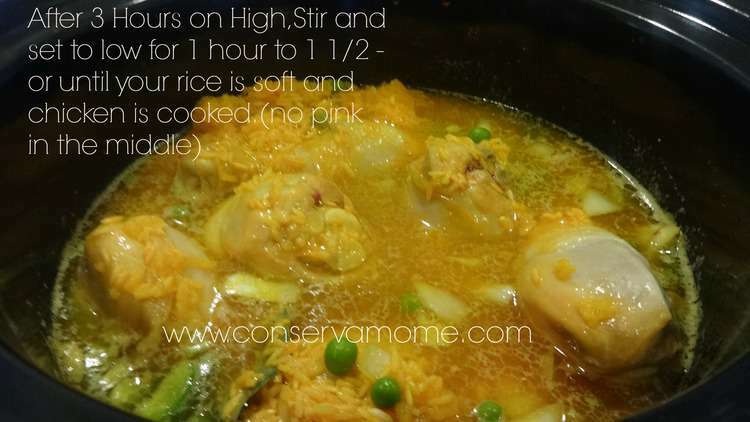 Thanks for the recipe, we are going to have to give it a try since we eat a lot of chicken and mostly rice for a side. This looks delicious, but we don’t cook with alcohol so would it lose a lot of flavour without the beer? 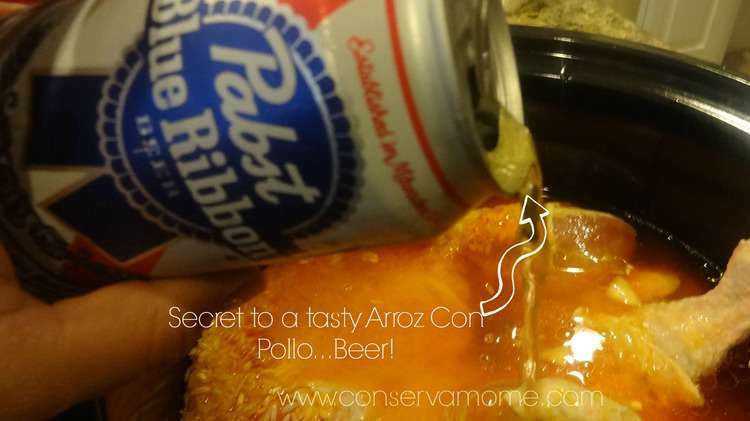 Am I the only one who hears Arroz Con Pollo and thinks of I Love Lucy?! She used to make it for Ricky all the time on the show. My kids actually really like it as well but I’ve never had a crock pot recipe for it. This is one I’ll be saving!